Tix Solder melts at 275°F but is much stronger than other Lead or Tin Solders. 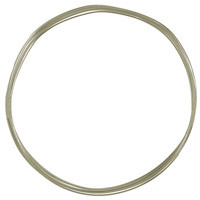 Does not tarnish and can be used to solder Platinum, Gold, Silver, Stainless Steel, Pewter and many other alloys. Use with torch or soldering iron. 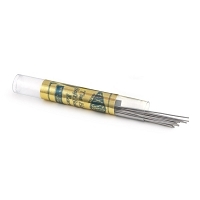 Each package of Tix Solder includes 20 sticks and is made with less than 2% tin and lead. 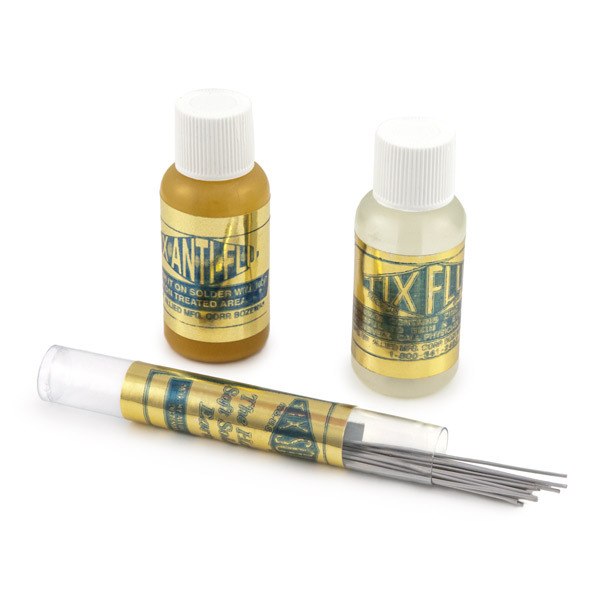 Tix Anti-Flux is an excellent solution to use on areas where you wish to prevent solder from flowing such as screw threads, clasps, adjacent soldered connections, and more. Just brush a little onto any area where you don't want solder to flow, and Tix Anti-Flux will stop it cold! Brushes on easily and cleans up with water. I used the solder to fix my pot metal Grateful Dead belt buckle. I used my torch lighter and it worked fine. It seems strong and has been holding for a few weeks now. Q: 1. Can this product be used on alkeme (melting point, 450 F; I know it says 275 F...but want to confirm)? 2. Does use of this product require pickeling? (I note that it says, cleans with water). 3. Will a ceramic tile block as a surface on which to work with a tool (not a torch)? Thanks. A: No this product will not work for soldering at 450*. 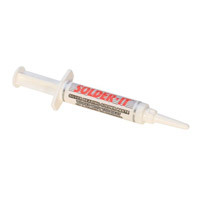 You may be able to use our SO242 Solder, which flows at 430*. Pickling is recommended, but water cleans up most metals. A ceramic block will work if you can heat the surface to a high enough temp. 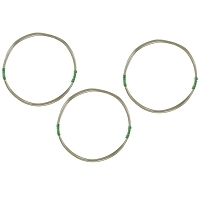 Q: can this be used to solder zinc-based "pot metal" or zinc diecastings?